12/17/2014, Honorary FireFighter Aiden Riebel Funeral Service. 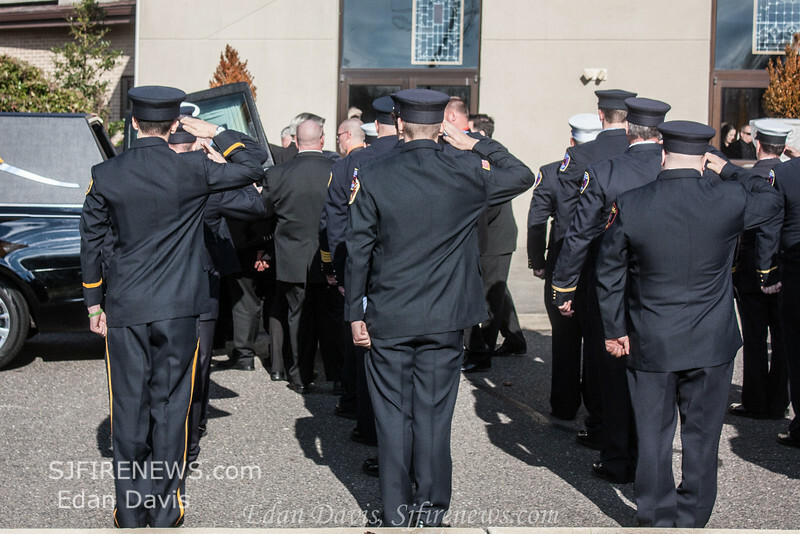 On Dec. 17, 2014, Honorary Firefighter Aiden Riebel was laid to rest. A large number of surrounding fire companies came out to pay their respects to this local hero. Aiden Riebel, a 7 year old boy fighting childhood Leukemia, was made a honorary firefighter of the Washington Twp. Fire Dept. about a year ago. As his inspiring story spread across the web, departments all over the nation and the world, started sending their support, gifts, and making him a part of their departments. The overall support was incredible. Through his story, Aiden was able to bring the brotherhood of firefighters closer and touch the hearts of an entire nation. SJFN would like to thank the family and department for allowing us the honor of documenting their final goodbye. We send our deepest condolences to all his family and friends. Aiden you will always be in our hearts. All photos in this gallery are available free of charge. Please feel free to right click copy and paste any photos you would like to service and a memory of Aiden.